Many women rely on concealer to cover up any imperfections on the skin. Sometimes your foundation just doesn’t cut it, and you need something a little more heavy duty to cover up those dark circles or acne marks. Just like with your foundation and other makeup items, it is important to find a high-quality concealer made with natural, organic, and healthy ingredients. If you are not using organic and 100% natural concealer, you are unnecessarily exposing yourself to harmful and dangerous toxins. 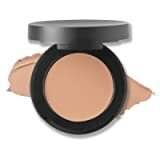 For convenience the below list shows the 5 best selling natural / organic concealers available for sale on Amazon.com. The list is automatically updated once a day. Formulated without: animal testing, animal ingredients, parabens, phthalates, mineral oil and petroleum. Just like foundation, discussed in one of our other articles concealers are filled with toxic ingredients and chemicals that can harm your skin and body. Many concealers contain SLS, parabens, BHA and BHT – just to name a few highly toxic ingredients often found in concealers. You can read all about those ingredients below as we discussed in our foundations post. Sodium lauryl sulfate (SLS) is found in some foundations. SLS can cause major skin irritations, canker sores, damage to the eyes, and can cause bad acne around the mouth and the chin. The EWG Skin Deep website classifies SLS as “expected to be toxic or harmful” in organ system toxicity. SLS is also known to cause a type of dermatitis around the mouth, nose, and eyes – specifically in the corners of the eyes, the eyelids, and the bottom lid. If you find yourself suffering with this dry, painful, and flaky red rash that is extremely hard to get rid of, you may have an allergy to SLS. If you do, avoid using any product that contains the chemical surfactant. It can also be hidden in the ingredient list as sodium coco sulfate. Parabens are ones of the most common preservatives found in makeup, including foundation. Parabens are so harmful to the body because they can actually mimic estrogen, according to the FDA. This leads to an increase in breast cancer and skin cancer. Additionally, parabens have the ability to disrupt your endocrine system, leading to reproductive and developmental disorders. This is especially important for women of reproductive age looking to have children. There are many different kinds of parabens, so always keep a look out in the ingredient list. BHA and BHT are often found in foundations as a preservative. They are a type of synthetic antioxidant and can cause cancers and negatively affect hormone function in the body. Exposure to these substances for an extended period of time have been linked to liver, kidney, and thyroid conditions in mice and can promote tumor growth in certain conditions. Shockingly, these are just 3 harmful ingredients typically found in most foundations. There are hundreds of other dangerous ingredients you need to look out for as well when your are buying makeup. For a comprehensive list of ingredients to avoid, check out this helpful article! It goes into much more depth about the ingredients you need to make sure are not in your makeup, going on your face, and then entering your blood stream. One of the best tools to help you get started on finding a healthy and safe concealer is to use the EWG Skin Deep database. There, you can search any ingredient of concern, brand, and type of product to see where each item stands. They will give you a number rating for each ingredient or product the ranges from 0-10 (0 being the lowest risk and 10 being an extremely harmful ingredient.) 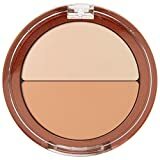 You can also choose “concealer” from their dropdown guide on the homepage of the website and it will give you an extensive list of the best concealers available for purchase. This is a fascinating tool to use because you can search the exact products you are currently using to see how safe or how toxic they are. Furthermore, when you are shopping at a store or looking at products online, you can look for labels like cruelty-free, USDA Certified Organic, Non-GMO Project verified seal, no parabens, etc. These are often great visual tools to start narrowing down your search. However, it is important to note that just because you do see these labels does not mean they are completely safe and don’t have ingredients you should actually be avoiding. Never trust brands and packages that say “natural” or “made with natural and organic ingredients,” as they can still contain a massive amount of chemicals and toxic ingredients. All it takes is for a brand to use ingredients like water and olive oil in their product and they can claim it contains natural ingredients. Unfortunately, this does not make the product natural in any way. When in doubt about a brand, ingredient, or certain item – do your research! Knowledge is power, so make sure you do proper research on a product before you make the purchase. This way you can make sure that the items you are investing in are actually safe and healthy to use on your body. We know the search and gathering essential information can be tough, so we have done the heavy lifting for you. Take a look these top 5 best natural and organic concealers. This healthy concealer is 100% natural (truthfully), made with 70% organic ingredients, and has 30% minerals and essential oils. This formula is also free of chemicals, nano-particles, and irradiation. Even cooler is Vapor Organic makes this concealer with wind power, biodegradable ingredients, and is fully recyclable! You can really feel good about this purchase not just for the chemical-free formula, but for the fact it’s also good for the environment. Not making companies have standard these high. The concealer comes in a wide range of super pigmented colors, is lightweight and breathable, and won’t settle into pores or fine lines, which is very important when you are using a concealer. Frankincense, tulsi, and lotus essential oils help keep your skin looking bright and soothe, calms, and protects skin. If you are looking for a heavy-duty concealer that will cover just about any imperfection, this concealer is for you! It will completely cover any imperfection with its super light mousse consistency. It contains organic algae, coffee, pomegranate and anti-aging peptides for brightening and improving your skin tone. A concealer that can fix your problem areas while you can cover them in the meantime sounds pretty great to us! This product is also EWG Verified, non-GMO, and free of all those harsh and toxic chemicals that will damage your skin and body. Rejuva Minerals is a great brand for just about any makeup need and their concealer is no exception. This concealer is a bit different because it is a powder, not a stick or liquid. It is made with certified organic fruits and botanicals, no harsh ingredients, and it great for the most sensitive skin. This formula is best if you are only looking to cover minor blemishes and imperfections. As with most Rejuva products, this concealer is EWG Verified, vegan, and comes in Earth-friendly eco jars! And if there are any other ingredients in their products you are concerned about, they would love you to give them a call to chat about any ingredients that concern you. Mineral Fusion’s duo concealer is EWG Verified, gluten-free, cruelty-free, paraben-free, artificial color-free, fragrance-free, talc-free, hypoallergenic, and phthalate-free. Ppycnogenol, sea kelp and vitamins C & E give you antioxidant protection to help fight signs of aging, while licorice root aims to soothe and calm skin. Their formula is super creamy and bendable to help give you the best concealing abilities possible. This organic concealer is formulated without animal bi-products, synthetic preservatives, nano particles, gluten, parabens, fillers, dyes or toxins. It is 100% natural, cruelty-free, vegan and made in the USA. It goes on clean and smoothfor great coverage. It only comes in three colors so you may have a difficult time using this product if you can match it to your skin tone. Finding a great concealer doesn’t have to be hard! These 5 organic and natural concealers offer a little bit of something for everyone. You can feel good purchasing any of the options, knowing you don’t have to worry about anything artificial, unsafe, or toxic. I just tested all my concealers for lead by using a gold ring and rubbing them. They all tested positive for lead content!!! We can’t directly comment on the validity of your above statement regarding said products, but several studies have shown that many of the popular non-organic concealers do in-fact contain harmful chemicals such as lead.